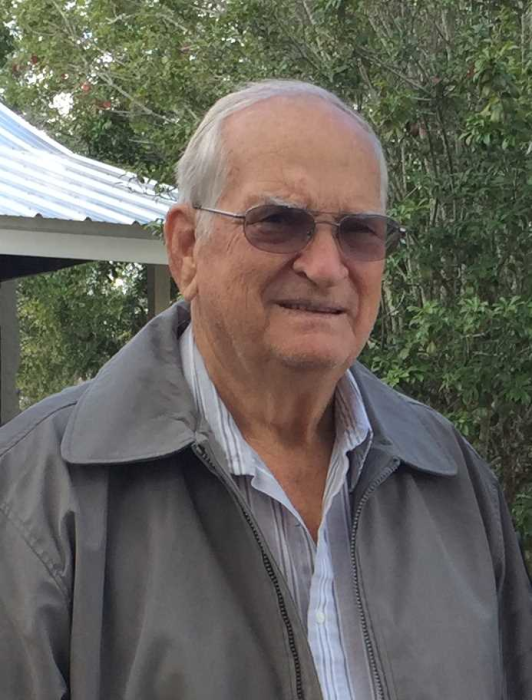 Mr. Bennie Ray Beasley, 79, of Millry, AL passed from this life Thursday, January 24, 2019 at his residence surrounded by his loving family. He was born in Millry, AL on Tuesday, January 2, 1940 to Buddy E. Beasley and Evelyn Beasley. He attended Sandridge Church of God. He was retired as an electrician at Brown & Root in McIntosh, AL. Mr. Beasley is preceded in death by his mother, Evelyn Beasley; father, Buddy E. Beasley; infant son, Donald Ray Beasley; brother, Jimmy Curtis Beasley; 4 sisters, Ann Grimes, Ida Grimes, Becky Jean Guy, Emily Sullivan. He is survived by his loving wife of 59 years, Annie Laura Beasley, Millry, AL; 2 daughters, Vanessa Blackmon, Millry, AL, Linda McCool, Waynesboro, MS; son-in-law, Mark McCool, Waynesboro, MS; 4 brothers, Paul Beasley, Buck Beasley, Termite Beasley all of Millry, AL, Austin Beasley, Fairhope, AL; 3 sisters, Bernice Giles, Daisy Sullivan, Cathy Odom all of Millry, AL; 2 grandsons, Brian McCool (Kelsi), Kansas City, MO, Jeremy McCool, Laurel, MS; 3 great grandchildren, Amy McCool, Patrick McCool, William McCool. Visitation for Mr. Beasley will be held from 5:00 PM to 9:00 PM, Friday, January 25, 2019 at Freeman Funeral Home, 1305 Skyland Drive, Waynesboro, MS 39367. Funeral Services will be held at 2:00 PM Saturday, January 26, 2019 with a lie-in-state from 1:00 PM to 2:00 PM at Sandridge Church of God in Millry, AL with Rev. I. D. Sullivan, Rev. Jim Koen Rev. David Baggett, and Rev. Joseph Futral officiating. Interment will be in Sandridge Cemetery in Millry, AL.